and then "Like" our picture! no. not those football bookie, you hopeless gamblers. being jodi picoult's fan (dont know if i should call myself a fan cos i only read like 2 of her books, but i love her writing style! ), each time i walk into a book store, the 1st book i will grab and flip through would definitely be her books. the first book i ever read was 'the sister's keeper'. i remember when i was reading it in mph, i was so into the story, at that time i was pretty out of cash in hand but went ahead and purchased it. and never regret. 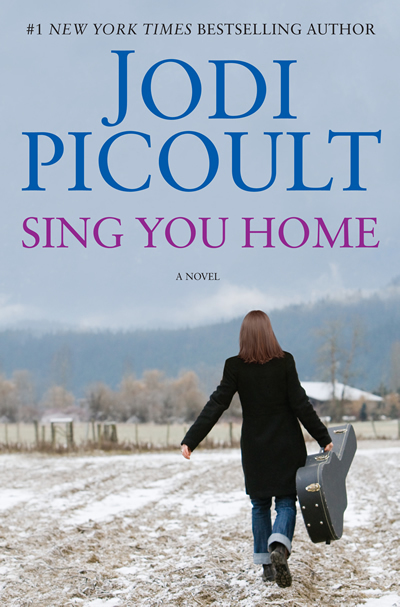 second was 'sing you home'. i came across this website selling new books at a cheap price. quite a number of variety too. 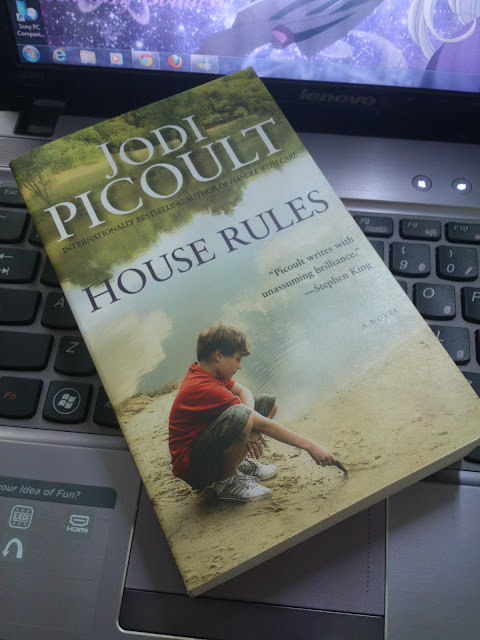 of cos i looked for jodi picoult's books first. haha! the price is definitely cheaper than the ones in the major bookstores. so i went ahead and enquired on 'house rules'. months passed and i totally have no memory on that book anymore. and i received an email from them saying their supplier restocked them! after exchanging a few emails (and i missed their sms. T.T), instead of COD, they ended up sending the book to me. at the end, the book was sent out on 28th of Sept. expected to arrive in like what, 3 days? but noooo... no book. no notice. nothing. yilekk... even when i asked my family member did they receive anything on my behalf or any notice... none. T.T but i didnt really bother much cos i thought maybe it was delayed. 5th of October, the Bmonster (heh... ^.^) tracked the parcel for me. [ok. im lazy to track. shut up alre.]... apparently the attempt to send to my house was on 1st October. but i didnt receive any notice leh!!! so i have to make a trip by myself to get it. so today, i went and collect it. luckily post office fella didnt tell me no notice cannot collect. else, i will make their life miserable for the day. thanks Renae for the follow ups. if it is not your constant follow ups, i think the book will be sent back to u d. hahaha! they said... dogs will await to see their master one last time before they say good bye. 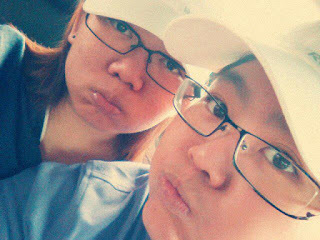 mom called me that day crying, "kin boy 死了。。。"
she told me, he waited for my mom to reach home from work. when my mom was about to open the cage to greet him and let him out, he just looked up at my mom lifelessly and then he left. he have suffered much ever since he moved in with us. he got used to roam freely around before staying with us. after lots of incidents happened, he ended up living in the cage most of the time. slowly, he fell sick. he went weak. very weak. from the usual him, who will start barking and greet me at the door. and when i entered the house, he will start hopping and scratching my legs, unintentionally of cos. at times before i go up stairs and wash up, i will sit on the floor and he will curl up next to me. untill he just walk to the door, no barking, no hopping, just a smile on his face greeting me and walk away to lay down once i lock the door. untill the day before he left, he didnt greet me. he was curled up by the staircase. he didnt even have strenght to lift up his head that day to look at me. he has been through ups and downs with my mom. from the days my dad is still with her, until he left her. from the restaurant days living above the restaurant to living in a low cost flat. when i thought days would be better when they move back in with us, i was wrong. terribly wrong. is it not better when one family live together? no. you have been a great companion to my mom. throughout these years, you have accompanied her through her ups and downs. you have loved her and protected her. sometimes even over protective by barking at me when im talking to her. =.=" i missed the days when im staying at the restaurant crying, and u were just watching by my side as if u know what i was crying about. i missed the days when i come home from work, and u keep hopping ended up there are scratches on my legs. 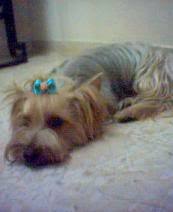 =.=" i missed seeing you with a ribbon on... even though you are a boy. i missed seeing u lying flat on the floor like a mini carpet. you are obedient. we never need to train you much on toilet training. u just automatically walked to the toilet and start doing your business, without fail. this is what my mom most proud of. my mom never need to worry about you when u were being left alone above the restaurant and at the low cost flat. of cos there is nothing to worry about, u're the king of the whole area alre. 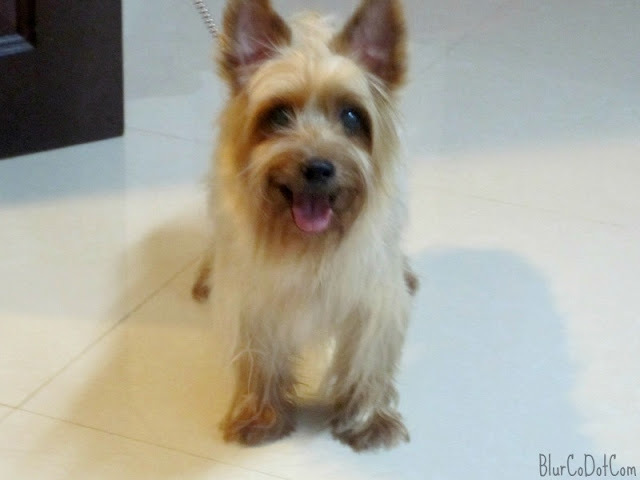 =.=" even when baby arrives, you never once ill treated her and never act as the alpha dog. you dont have to worry much now. in fact, you dont have to worry about anything anymore. you have done your part as a great companion, guardian and a best friend to my mom. you may rest in peace... 06.10.12.
so we have a few dedicated parking lots for women in e@curve. 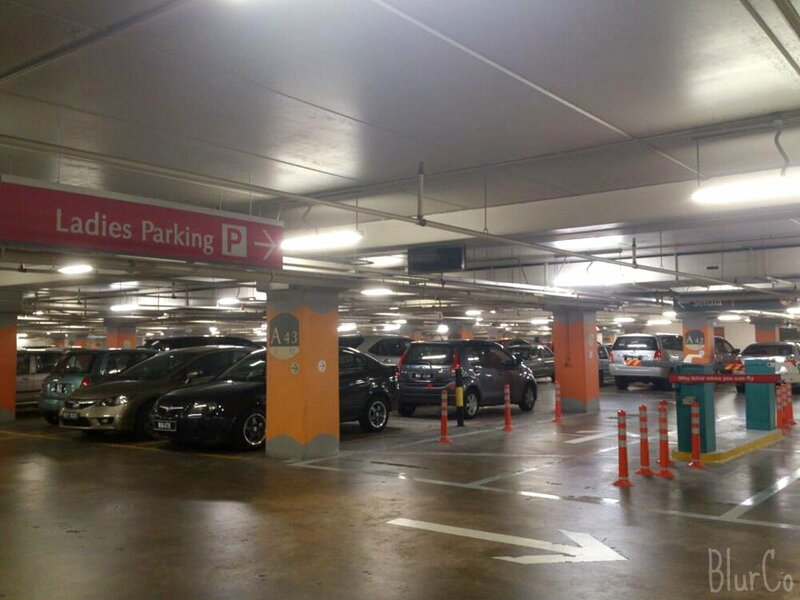 now we have a number of parking lots for women in mid valley! after work, i stayed back until nearly 12am cos i was waiting for LGZ to finish work as well. and it struck me, if there is a security guard to control who enters the ladies parking compound, what about exiting? so, didnt pay for the parking ticket yet and i went to the security counter at Zone A P1 to check. mcb, that freaking security uncle give me attitude "baru 2 minggu, mana saya tau?" so? how is my car suppose to get out?! he made a call to god-knows-where and asked. he told me it was opened. i was rather skeptical about it but left the counter anyways to avoid punching that security uncle. went down to P2 and paid the parking ticket. walked towards the ladies parking compound and found a couple was standing there figuring out how to get out. yep... that barrier is still down. spoke to them that i checked with the guard and he said it is open... definitely cant get in the compound because the guy tried to drive in his car with the girl to get her car, but that barrier did not move an inch. after exchanging a few lines, we think it might be automatic for exiting. so the girl went and get her car. and... indeed, to exit, it's automatic. i think a security guard will be standing there from 10am to 10pm (i think) and only allow women to enter those parking space. after that, to exit, it is automatic. so no worries for staying late. my own point of view. i have parked that area third time now up till this date. 1st time, i was impressed and when i first entered i was thinking there will be a guard by the ladies parking entrance 24/7. i guess i was wrong, very wrong. when i want to leave the parking, it was damn scary. i need to walk around from the IGB lift in order to get my car. even if i dont use the IGB lift and use the escalator, i still have to walk a distance. i think it would be better if the ladies parking area is nearer and more easy to access. 2nd time was ok. the distance is still a lil scary. 3rd time, when i parked my car at about 7pm, i saw a guy walking around that area. dont know what is he up to. and the guard didnt do anything. so, meaning men are allowed in the ladies parking area? Finally first roll of film is processed. A little disappointed with the results but in a good way. Which means i got LOTS of practice to do.